On November 3, 2017, we had a question-and-answer call with Ryan Niemiec, PsyD, positive psychologist, coach, international workshop leader and author of seven books including Mindfulness & Character Strengths, Positive Psychology at the Movies, and his newest book, Character Strengths Interventions: A Field Guide for Practioners. The eMentorCoach News, our monthly enewsletter, and can opt out at any time. Ryan M. Niemiec, Psy.D. is Education Director of the VIA Institute on Character, a non-profit organization in Cincinnati, Ohio, that is viewed as the global leader in advancing the science and practice of character strengths. 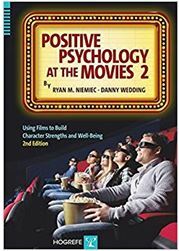 Ryan is author of the 2017 book, Character Strengths Interventions: A Field Guide for Practitioners and other path-breaking books in the field of positive psychology, including Mindfulness and Character Strengths and Positive Psychology at the Movies. He’s an award-winning psychologist, certified coach, international workshop leader, and annual instructor at the University of Pennsylvania and adjunct professor at Xavier University. As a frequent keynoter and workshop leader, he’s offered several-hundred presentations on positive psychology topics across the globe. 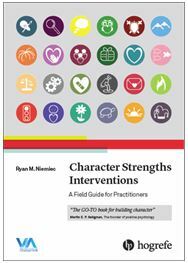 Ryan’s aggregates the science and best practices involving character strengths and disseminates these findings in practical ways to people. In this vein, Ryan connects with thought leaders, scientists, educators, and practitioners around applications of these topics. He develops (or co-develops) VIA’s courses, professional and consumer reports, and programs. He offers Character Strengths Coaching helping individuals apply strengths for personal and professional development. 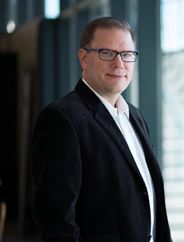 He’s a columnist forLive Happy magazine, and as a blogger for Psychology Today, PsycCentral, ThriveGlobal, and the VIA Institute, he’s written several-hundred lay-friendly articles in positive psychology. Ryan is adjunct professor at Xavier University and annual instructor at the University of Pennsylvania. He has published over 60 peer-reviewed/invited articles on character strengths, mindfulness, and related topics. He’s an associate editor or consulting editor for 4 scholarly journals, including the APA journal PsycCRITIQUES since its inception in 2004. Ryan is especially interested in the intersection of character strengths with mindfulness, savoring, resilience, flourishing, spirituality, religion, intellectual/developmental disability, and health promotion/prevention. He has been a visiting or remote faculty at the following universities/organizations: Harvard Institute of Coaching, IE University in Madrid, WholeBeing Institute, Functional Medicine Coaching Academy, and Open Institute in New York. In 2014, Ryan reached a feat of delivering over 100 presentations on character strengths within a single year. In 2015, he presented a national workshop tour on mindfulness and character strengths across Australia, at universities in Iceland and Spain, and gave the Rex J. Lipman Fellow address at St. Peter’s College in Adelaide. He’s been an invited presenter or keynote at five of the leading positive psychology conferences. He was awarded Fellow of the International Positive Psychology Association in 2017. In a short period of time, Ryan has published widely on character strengths and intellectual/developmental disability, including scientific articles for journals and books and user-friendly articles for blogs and newsletters. He has presented to scholars, practitioners, parents, and people with disabilities on this topic at the national and local level. In 2015 and 2017, he brought together the leading researchers in positive psychology and intellectual/developmental disability as the first symposia on these topics at an international conference. He has consulted and presented to staff and clients of several local disability organizations in Cincinnati, and played a central role in assisting one organization on their journey to be the first character strengths-based organization for people with disabilities in the U.S. Ryan is closely involved in volunteering at the Reel Abilities Film Festival, the largest movie festival on disability in the U.S., as well as the Down Syndrome Association of Greater Cincinnati. Ryan and his wife have three children, all ages 6 or under. He enjoys bringing character strengths, mindfulness, and savoring to his relationships and his own self-development. Ryan’s signature strengths are hope, love, curiosity, fairness, honesty, perspective, and appreciation of beauty. He enjoys spending quality time with his family, traveling, playing basketball, watching positive psychology movies (and The Walking Dead), following Michigan State athletics, playing online chess, collecting vintage Pez dispensers, and collecting stingray and komodo dragon figures. Make the Most of Positive Psychology’s First Field-Guide! The original VIA Classification publication — Character Strengths and Virtues — was published in 2004 as a scholarly text outlining and describing what is best in people. There was no prescription and no application discussion. Still, practitioners and researchers took action, almost immediately, applying and studying character strengths. This work has ballooned to hundreds of studies and countless practitioners around the globe using it. But, there has been no companion book for the practitioner or the various professions wanting to apply this exciting work. That is, until now, 13 years later. In arranging the book, Ryan knew that practitioners wanted several things — handouts, tips for use with clients, bite-sized chunks of research findings, case examples of using these concepts and activities with clients, and anything practical they could begin applying tomorrow. He wrote the book with all of that in mind. Part I : Chapters 1-5: These reveal all the concepts and practical application points that practitioners need to know, from the 7 core concepts of character strengths to the 6 integration strategies in applying them. There is a chapter that outlines the various traps and misconceptions practitioners commonly fall into (and remedies for each), as well as cutting edge, advanced issues in strengths application such as strength collisions, hot buttons, and overuse/underuse. Part II : Chapter 6: Each of the 24 character strengths are detailed in “spotlights” as 1-page handouts for practitioners to copy and use. Practitioners (and their clients) learn snapshots on each character strength’s own evidence-based application, exploratory questions, research findings, top correlates with other strengths, where it falls on heart/mind/intrapersonal/interpersonal dimensions, and language around its overuse and underuse. Part IV : Includes an afterword and various practical appendices. One appendix is a checklist of 14 guiding suggestions to becoming a “strengths-based practitioner,” a description of various strengths-based models/approaches, and a comparison of VIA with Myers-Briggs Type Indicator and Gallup StrengthsFinder, among other appendices. The GO-TO book for building character. As inspiring as it is practical. The practical applications of this holistic approach to human behavior are dizzying. This guide to positive psychology is tailor-made for leaders, and is a must-have book that will inspire any leader! Marshall Goldsmith, PhD, bestselling author and editor of 35 books including What Got You Here Won’t Get You There and Triggers. Ryan Niemiec takes one of the most important scientific tools in modern psychology for improving our well-being and makes that research come to life in a practical way for practitioners, parents, and coaches. In challenging times, we each desperately need to know, hone, and utilize our unique strengths to tip this world toward hope, health and happiness. 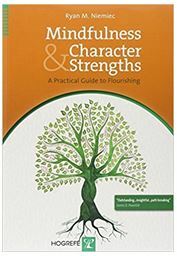 Dr. Niemiec – the world authority on character strengths has masterfully married science with practice in this book which provides practitioners with a comprehensive field guide of character strengths interventions. This book guides practitioners in the importance of understanding context to ensure the right intervention is used for the right reason with the right person. It is thought-provoking and hope-promoting. The raft of character strength interventions are clearly explained and the handouts are a particularly useful resource. This is a must-have book for anyone doing work with character strengths! I’m so glad you wrote this book! Very important work. This book provides an invaluable guide for teachers and parents, consultants and managers – in fact, for anyone passionate about human flourishing. For the reader who seeks to understand why Harvard’s Howard Gardner once said that the science of human character strengths is the most important development in psychology over the past half century my advice is: Begin with this book. Ryan Niemiec’s brilliantly conceived “strengths interventions” brings it to life and helped me see the vast vistas ahead with character strengths psychology—for revolutionizing everything from early childhood education to leadership development in business, government, and civil society. Viacharacter.org The VIA Institute site which gets 10,000 visitors per day. Free resources on the VIA site.